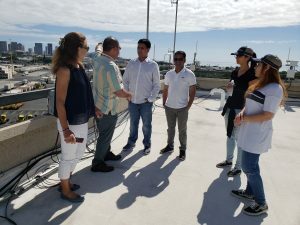 The UH Manoa ASCE Student Chapter took 45 students and their faculty advisor, Dr. Babcock, to participate in 10 technical and 10 non-technical events at the ASCE Pacific Southwest Conference (PSWC) at California Polytechnic University San Luis Obispo on April 3 – April 6, 2019. The team placed 7th overall in the conference of 18 schools (1,500 students total). 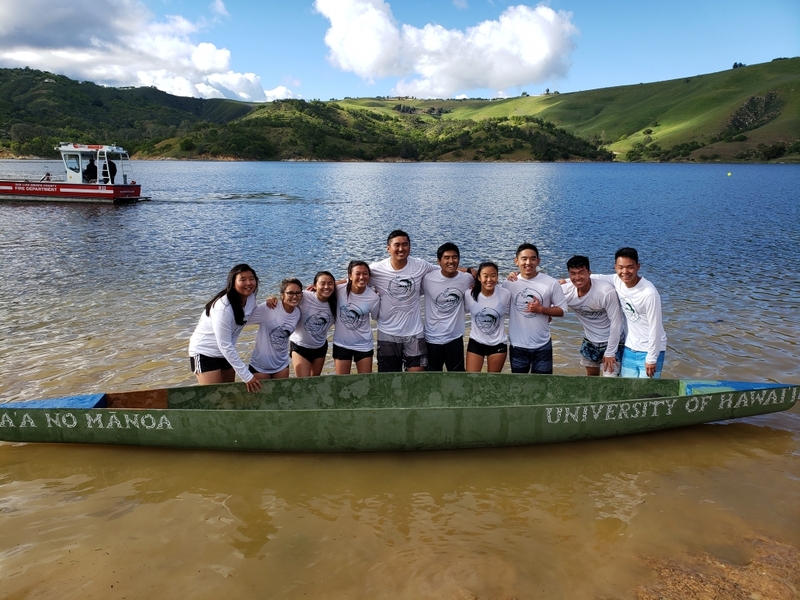 The Concrete Canoe team placed 4th overall, and 2nd in race event points with 2nd in all races including Men’s sprints, Women’s sprints, Coed sprints, Men’s slalom, and Women’s slalom. 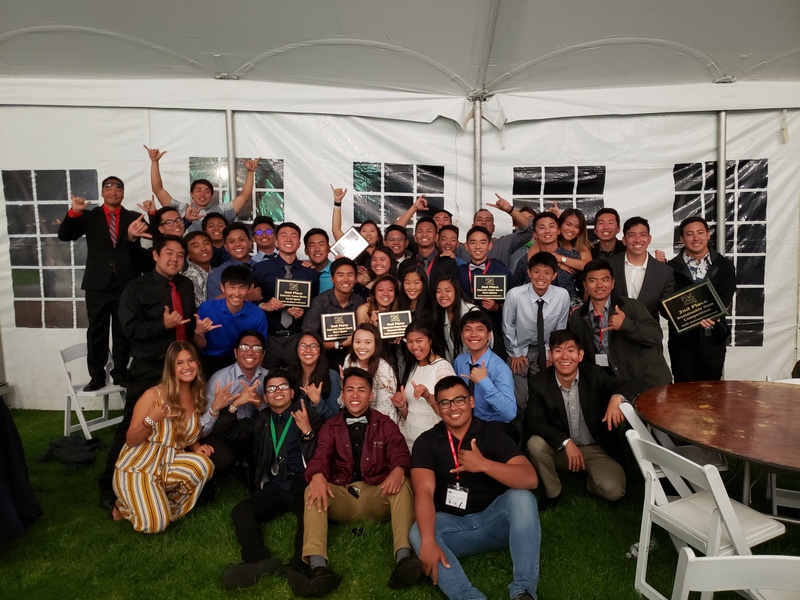 The Sustainability event team placed 2nd, the Transportation Design event team placed 4th, the Surveying event team placed 6th, the Design Build Construction team placed 7th, the Environmental event team placed 7th, and Joshua Agpaoa placed 9th in the Technical Paper competition. In the non-technical events, UH placed 4th in Ultimate Frisbee but not in the top 5 in any of the other events this year. The entire team worked very hard preparing for this annual conference and all were great competitors in San Luis Obispo CA. The PSWC is the largest ASCE conference in the USA and the most competitive. 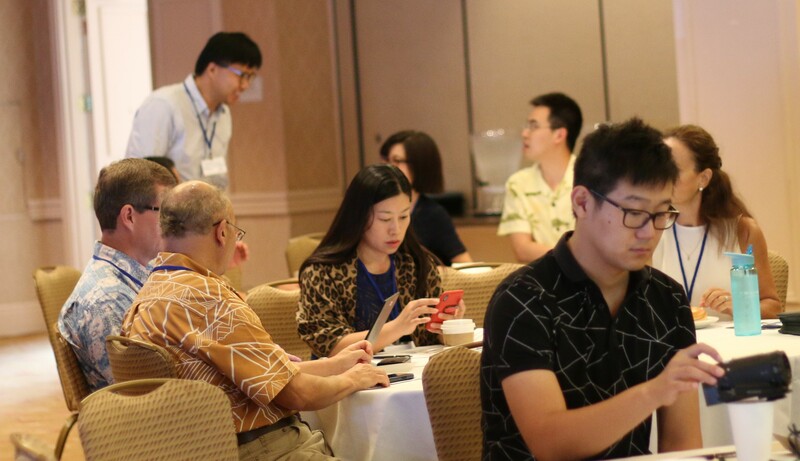 The UHM Conference co-Chairs were Paige Avery and Alisa Tseng who worked tirelessly to ensure everything worked out well and everyone had a good time. 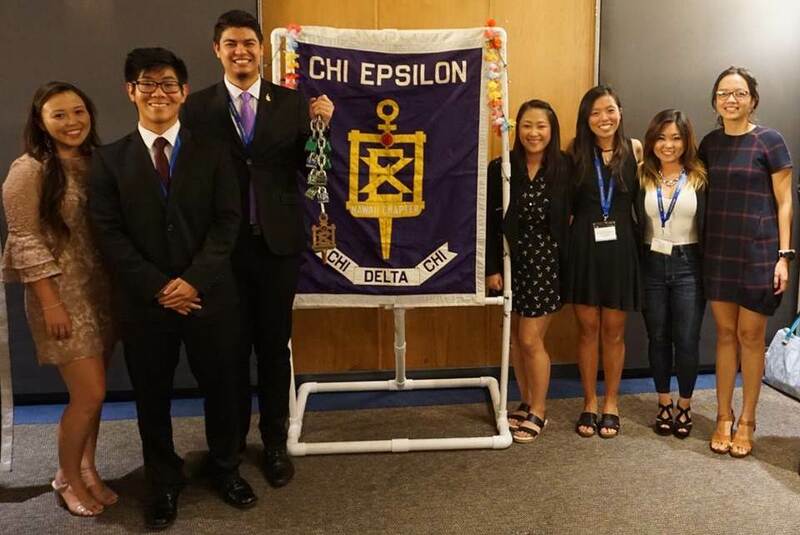 The chapter was led in this past year by the following officers: President – Joshua Agpaoa; Vice-President – Tracey-Anne Panlasigui; Treasurer – Melody Macebo; Recording Secretary – Elmo Gonzales; and Corresponding Secretary – Mari Kajiwara. Unfortunately, the Steel Bridge broke during loading (as did all but one bridge this year) and the Geowall also failed during loading (as did 6 others). 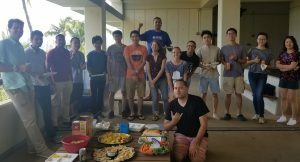 The Student Chapter is very grateful to the 30 companies, the College of Engineering, ASCE Hawaii Section, and UH Manoa SAPFB who together made donations/grants totaling over $40,000 to help enable the team to prepare for and participate in PSWC in San Luis Obispo CA this year. The students also individually had to pay $700 to participate. Congratulations to PhD student Sabrina Diemert who won the Yu-Si Fok UH Foundation Scholarship. 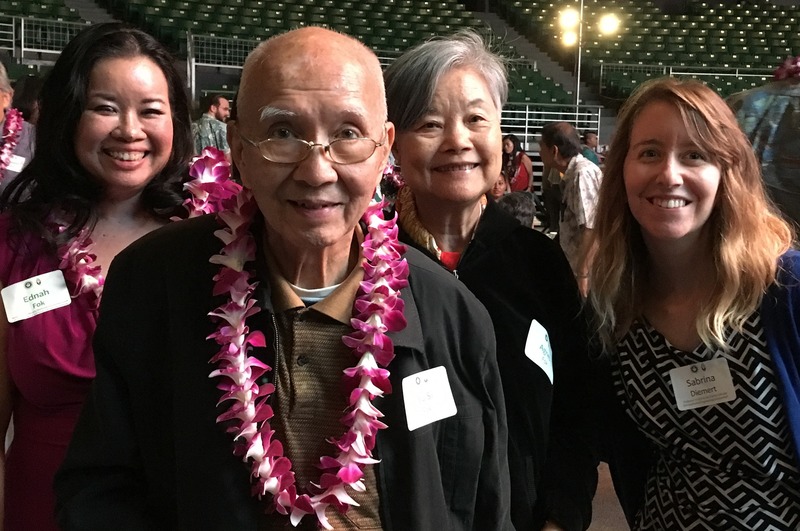 Sabrina attended the UH Foundation Scholarship dinner on April 10 and met with UH retired faculty Drs. Yu-Si and Agnes Fok, the benefactors of the award. Dr. Yu-Si Fok is Emeritus Professor of CEE; he specialized in hydrology and was also researcher at UH’s Water Resources Research Center (WRRC). Dr. Agnes Fok is Professor Emeritus of Biology. Mahalo to Drs. Yu-Si and Agnes Fok for their generosity and continued support! 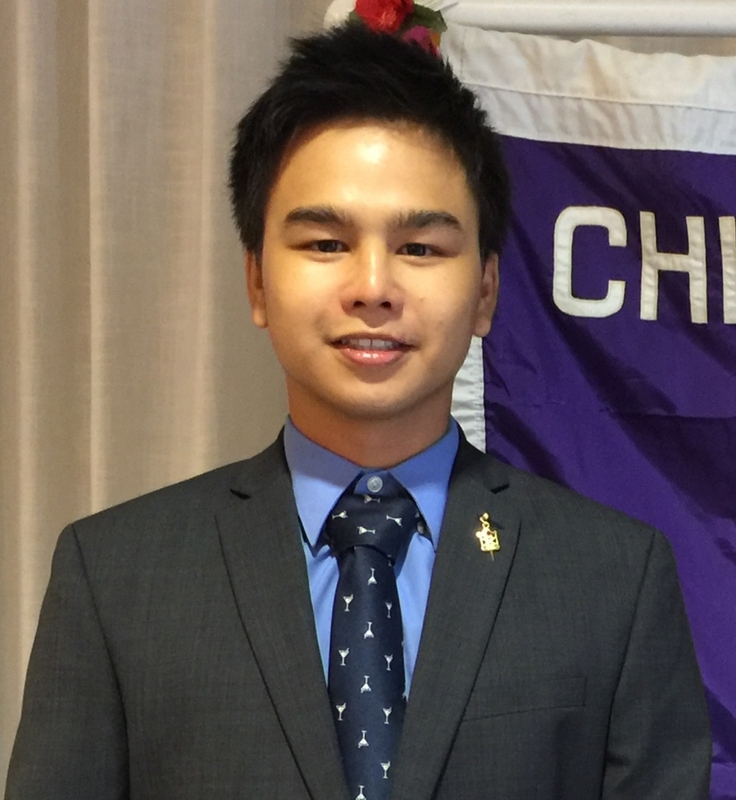 Congratulations to UH Chi Epsilon (XE) chapter member Siu Fung Tang for winning the XE Bertram Tallamy $2,000 Scholarship awarded by Chi Epsilon National! 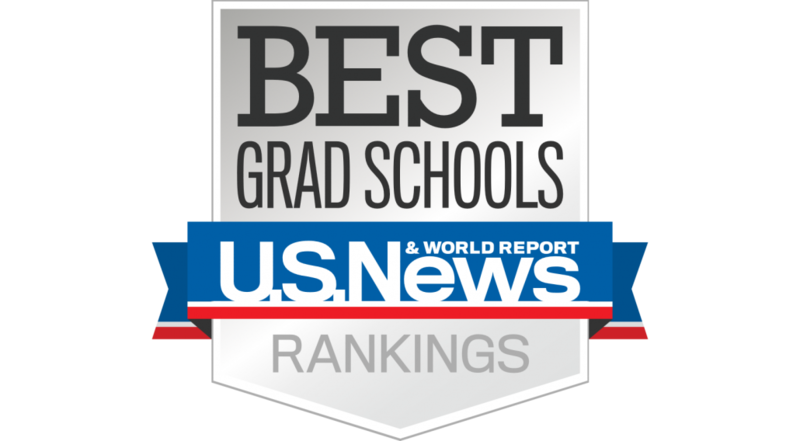 Our department of civil engineering graduate program ranked 76 out of 152 in the nation according to U.S. News and World Report’s 2020 ranking. See UH news. UH’s newspaper KA LEO reports that UH Mānoa produces six Fulbright scholars, one of which is CEE’s geotechnical engineering professor Phillip Ooi. 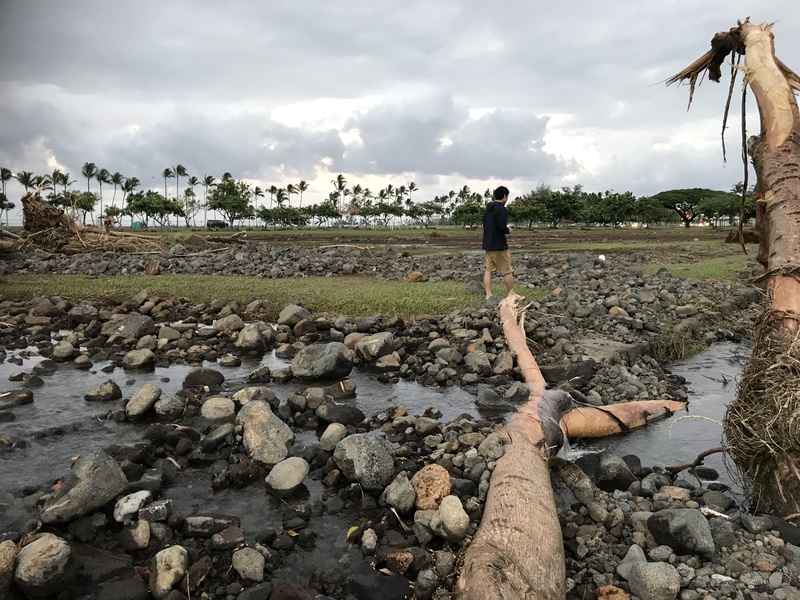 UH Mānoa is one of 12 institutions on the list of U.S. colleges and universities that have the most 2018-2019 Fulbright U.S. Scholars. 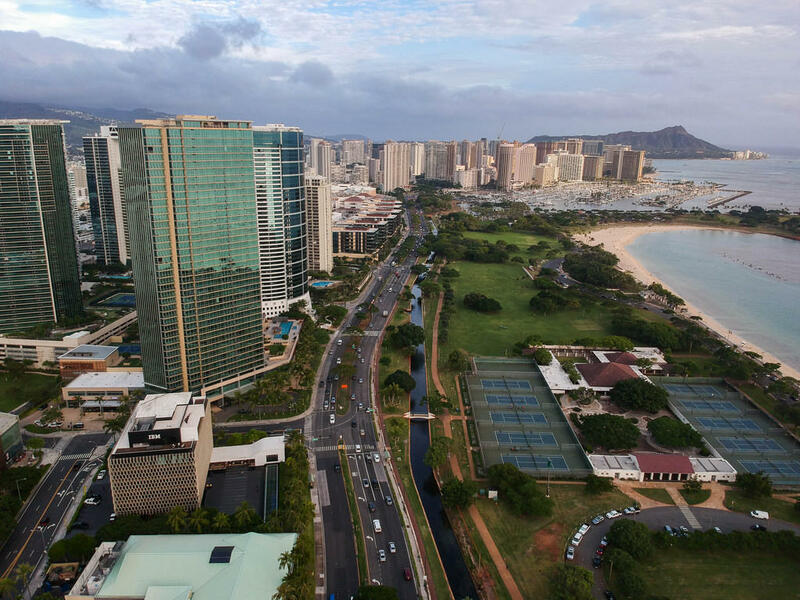 Professor Panos Prevedouros was quoted in three recent articles about traffic conditions in Honolulu: Want Real Traffic Relief? 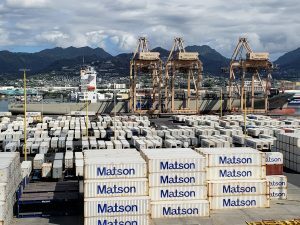 Give Oahu’s Students And Workers Flexible Hours (Feb. 8, 2019), How Many More Cars Can We Cram On Oahu? 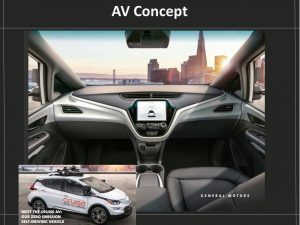 (Feb. 1, 2019), and What Would You Pay To Drive During Honolulu’s Rush Hour? (Jan. 9, 2019). The articles are published in the Honolulu Civil Beat. 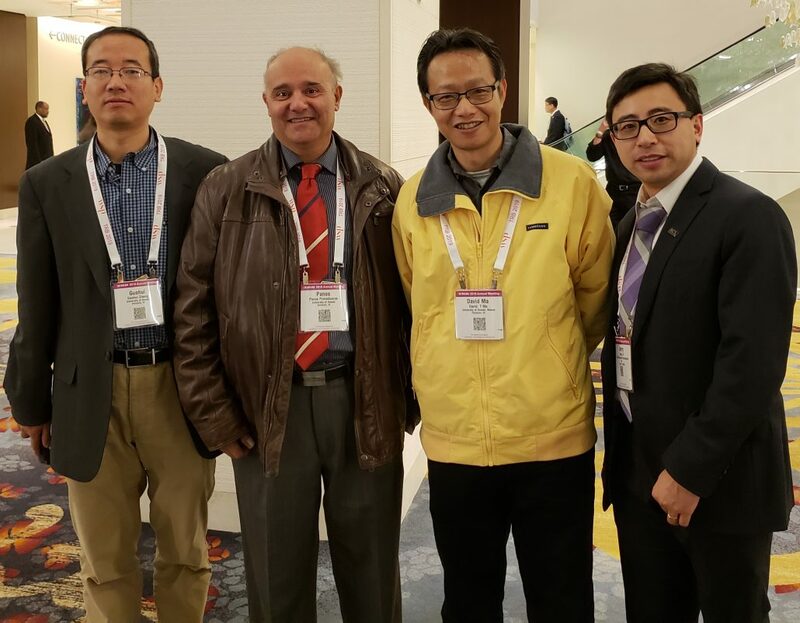 MS student Rafaela de Melo Barros, past PhD graduate Jerry Ji, current PhD students Harrison Togia and Zhenning Li along with professors Archilla, Ma, Ooi, Prevedouros and Zhang represented CEE at the 98th annual meeting of the Transportation Research Board in Washington, D.C. with posters, presentations, committee participation, etc. As always, the 15,000 participant strong TRB conference is a hectic but very enriching activity, with a lot of snow in the mix this year. 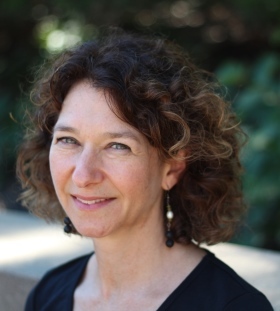 Dr. Paige Novak is the Dr. Alfred Yee Visiting Professor in our department in spring 2019 semester. 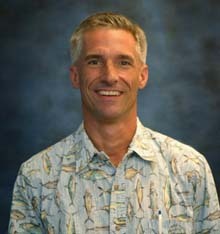 Dr. Novak is Joseph T. and Rose S. Ling Chair in Environmental Engineering Professor at the Civil, Environmental and Geo Engineering at the University of Minnesota. Dr. Novak specializes in the biodegradation of contaminants and how to engineer systems to more effectively transform them . Dr. Novak’s research can be found at her Univ. of Minnesota faculty profile. Dr. Novak is offering CEE 696 Environmental Biotechnology in spring 2019. 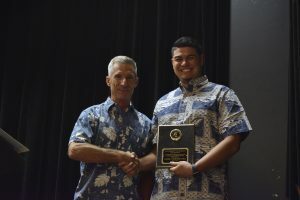 Lidek Boryszewski was awarded the Fall 2018 Outstanding Graduating Senior in Civil and Environmental Engineering at the College of Engineering Convocation held on December 14, 2018. Lidek graduated from McKinley High School. 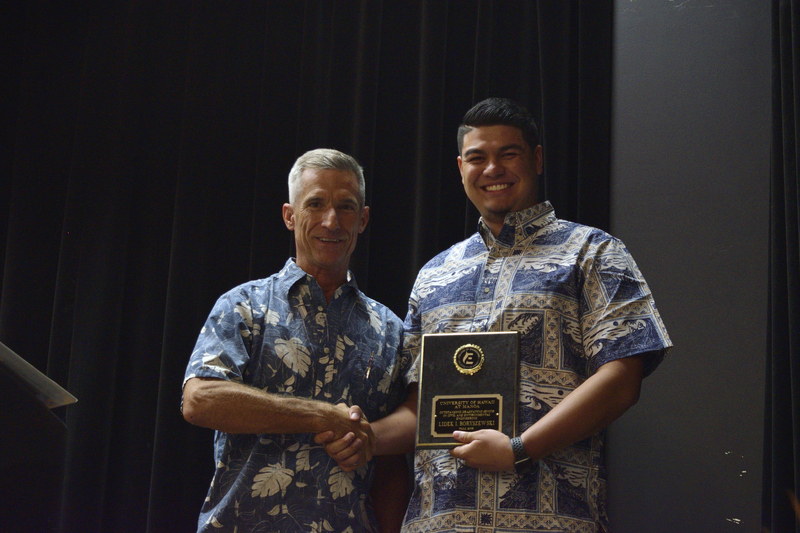 At UH in CEE, he has been on the Dean’s list many times and finished with a GPA of 3.6. Lidek was an officer in Chi Epsilon, the Civil Engineering honor society, serving as president this past year when the chapter again won the Pacific District Chi Epsilon Cup for the 4th year in a row at the 31st Annual Pacific District Conference held at the University of California at Berkeley. 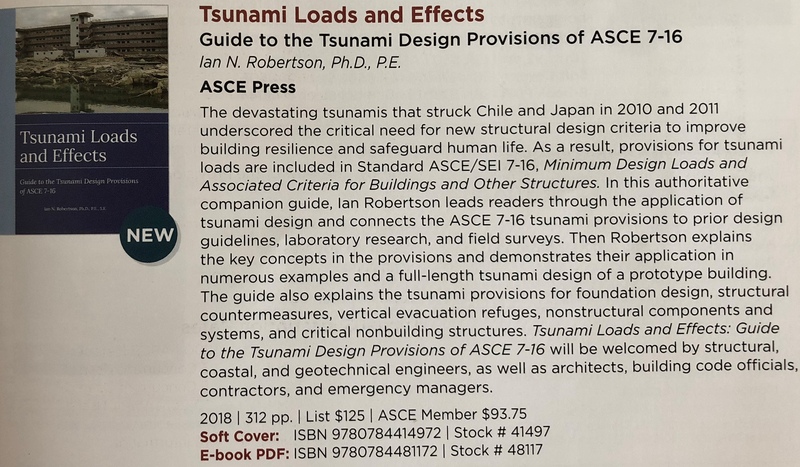 He was also a member of the ASCE Student Chapter. He recently passed the Institute for Sustainable Infrastructure exam to be an Envision Sustainability Professional (ENV SP). While a student, Lidek had project engineer internships for two general contractors; Watts Constructors and Goodfellow Bros. After graduation, Lidek will be working full time for Goodfellow Bros. Inc, as a Project Engineer. Lidek is interested in memes, games, import cars, and building computers. Congratulations! 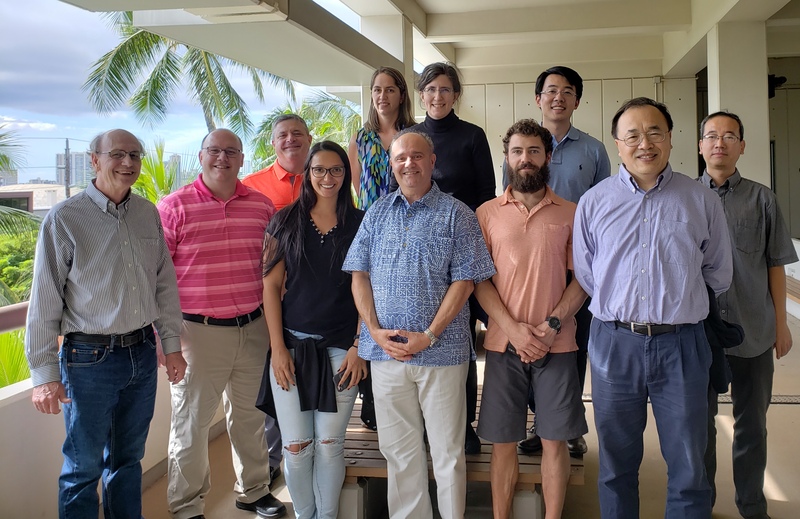 Excellent advisory board meeting in Honolulu for the Center for Safety Equity in Transportation. 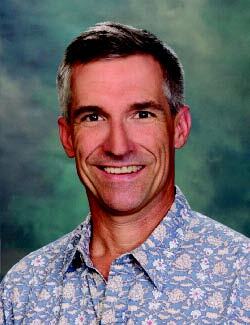 Many thanks to Hawaii advisory board member Lieutenant Governor Josh Green, MD for his comments and advice. CSET is a USDOT funded center for Univ. of Alaska-Fairbanks, Univ. of Idaho, Univ. 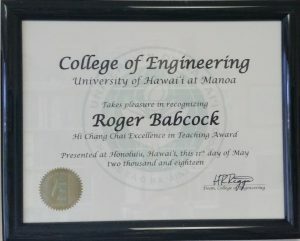 of Washington and UH-Manoa. Many thanks and appreciation to Mrs. May Liu who endowed CEE with funds in honor of her late husband. Mr. David C. Liu who was a geotechnical engineer. 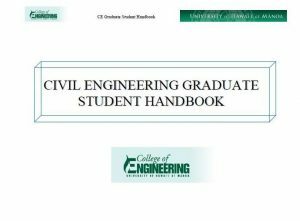 The David C. and May T. Liu Civil Engineering Fellowship covers student tuition, fees, books, travel and research supplies in geotechnical engineering. 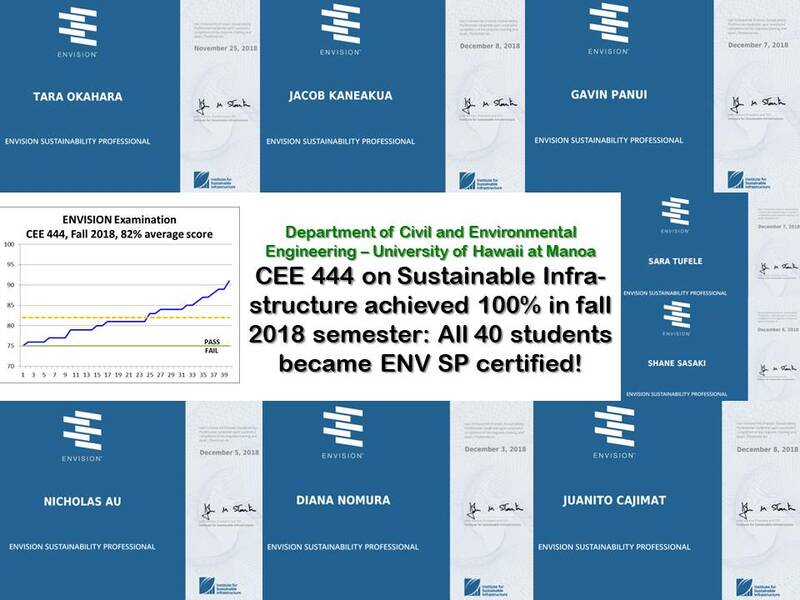 Last fall semester, 30 out of 36 students in CEE 444-Sustainable Infrastructure took the national exam, passed, and became Envision Sustainability Professionals(ENV SP). This semester, 40 out of 40 did. Congratulations! Field trip to the Matson terminal on Sand Island and first view of the brand new Daniel K. Inouye container-ship being prepped for loading for its first trip out of Honolulu. Dr. Eftychia Nathanail‘s graduate class on freight logistics was graciously hosted by Matson Terminals Manager Kam Chun, a CEE alum. Six Chi Epsilon (XE) undergraduate students and an alumnus made the department very proud by winning the Pacific District Chi Epsilon Cup for an unprecedented fourth time in a row and fifth time in six years at the 31st Annual Pacific District Conference held at the University of California at Berkeley, November 9-11, 2018. They were the defending champions from 2015 through 2017. Students competed against 13 other California universities that comprise the Pacific District in chapter presentations, quiz (on civil engineering and XE), Simpson Strong Tie competition, and other events. The UH winning team members include from left to right: Paige Avery, Theodore Uekawa, Lidek Boryszewski (President – holding the Pacific District Cup), Louise Jallorina, Tara Okahara, Taylor Onizuka (UH alumni, now M.S. student in geotechnical engineering at UC Berkeley), and Camille Gozum. Their hard work and resourcefulness paid off. Congratulations! 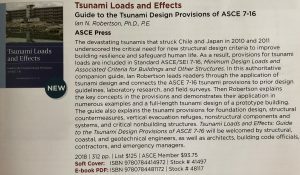 A major contribution to updating structural engineering guidelines for tsunami forces by Prof. Ian N. Robertson. Congratulations! National Science Foundation awarded a new research grant “RAPID: Molecular and Metagenomic Understanding of Coastal Water Quality and Health Risks After Hurricane Lane” to the CEE Department. 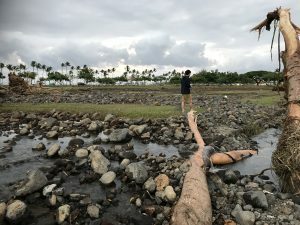 By studying the impact of Hurricane Lane, PI Dr. Tao Yan and his research team aim to investigate how coastal water quality is impacted by the different pollutant sources associated with major storms like Lane and to develop a comprehensive understanding of microbial health risks in such storm-impacted water with emerging molecular and metagenomic tools. This year again Civil Engineering is in top five (3rd) of majors with the most international students. Many thanks and congratulations to Asc. 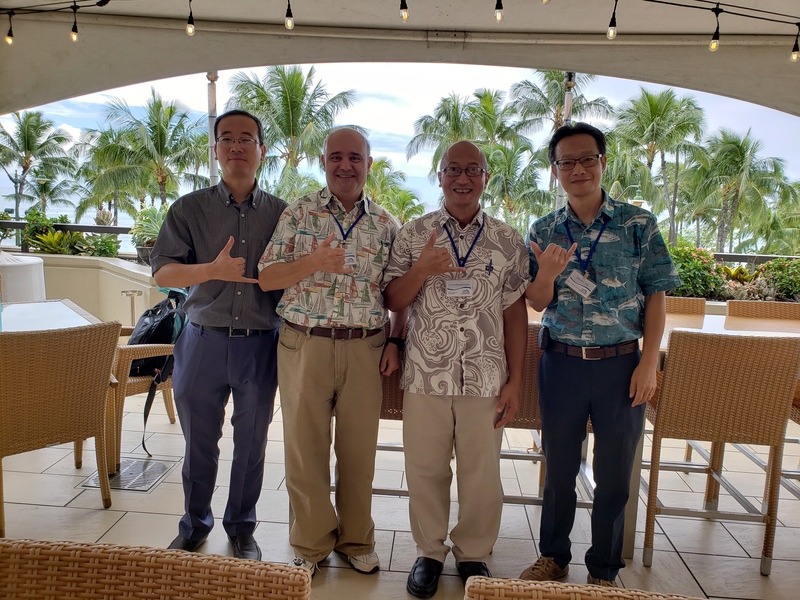 Prof. Guohui Zhang for the successful planning of the ISETT conference in Waikiki (International Symposium on Emerging Trends in Transportation.) Organized and sponsored by the Chinese Overseas Transportation Association (COTA), the CEE Department of the University of Hawaii, and the Transportation Research Board (TRB), this inaugural conference was held at the Hyatt Regency Waikiki Beach, Hawaii on October 4-6, 2018. Prof. Panos Prevedouros along with CEE graduate students Rafaela Barros and Flavia Medeiros, and CEE undergraduate student Arianna Kirschenbaum are working with the North Shore community on options to alleviate the chronic traffic congestion problem and the pedestrian jaywalking risks at the very popular Laniakea beach, also known as turtle beach. Community forums were held in August and September. On October 3, Prevedouros and Barros visited the 4th grade class of Ms. Emily Fox at Sunset Beach Elementary; one of their classroom projects looks into traffic solutions for Kamehameha Highway along Laniakea beach. Quite smartly, the students call their project, Slow as a Turtle. 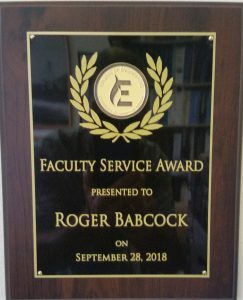 Congratulations to the CEE faculty members who won awards for their distinguished service and contributions to the College of Engineering, as announced at the 2018 award ceremony. 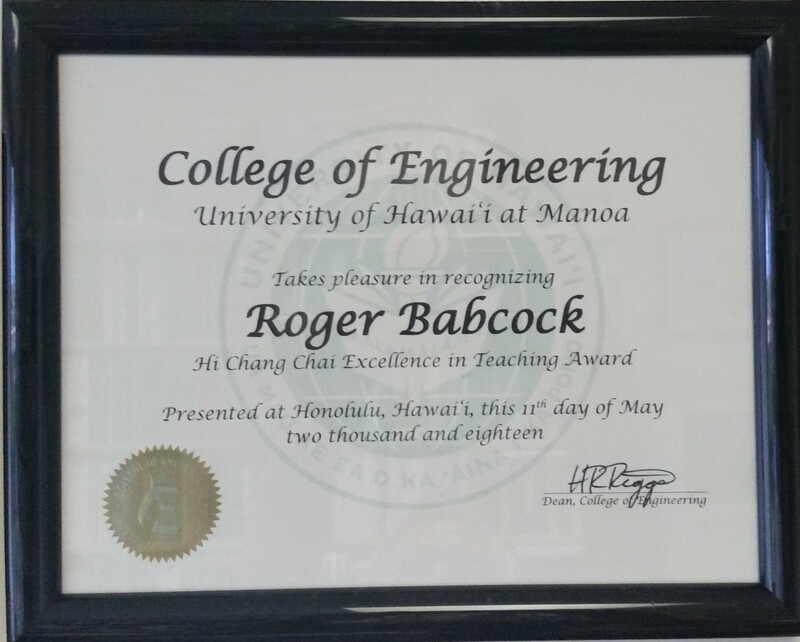 CEE recipients include professor Tao Yan, recipient of the 10 year Service Award; Associate Professor Guohui Zhang, recipient of Research Award; and professor Roger Babcock Jr., recipient of the 2018 Hi Chang Chai Excellence in Teaching Award, 2018 ASCE Outstanding Faculty Advisor Award and Faculty Service Award. CEEG (the Civil and Environmental Engineering Graduate Student Club) organized a successful “Welcome Back” social on Friday, Sept 7 in Holmes Hall 244 to socialize and share helpful resources with new students. Future events were discussed, including coffee hours on the Holmes lanai, beach BBQs, and other gatherings. CEE welcomes two new Assistant Professors Chunhee Cho and DoSoo Moon and two visiting faculty Drs. Gonzalo Corral and Eftihia Nathanail who have joined the department in Fall. Dr. Chunhee Cho obtained his Ph.D. degree in Civil Engineering from the Georgia Institute of Technology. His dissertation title was “Passive Antenna Sensor Design through Multi-Physics Modeling, Simulation, and Optimization.” Dr. Cho’s area of research specialty are Passive (battery-free) Wireless Sensor Design, Multi-Physics (electromagnetics-mechanics) Simulation, Low-Cost Multi-Functional Sensor, Data-Driven Monitoring System, and Structural Health Monitoring. He is teaching Structural Analysis CEE 381 in Fall 2018. Dr. DoSoo Moon obtained his Ph.D. degree in Civil Engineering (Structural Engineering) from the University of Illinois at Urbana-Champaign. His dissertation title was “Integrated Seismic Assessment and Design of Plan-irregular Structures”. Dr. Moon’s research interests include: multi-hazard sustainable and resilient infrastructures; risk assessment and mitigation, structural health monitoring with smart sensing, and earthquake engineering. In Fall 2018, he’s offering the graduate course Modern Structural Analysis CEE 681. Dr. Gonzalo Corral joined the CEE Department in the Fall of 2018 to collaborate in geotechnical research and teach Geotechnical Engineering II (CEE 455) and Soil Behavior (CEE 696). His research interests are related to computational geotechnics, numerical modelling, constitutive models, soil behavior and earthquake geotechnical engineering. Dr. Corral received his PhD from MIT, his MSc from Universidad de Chile, and his structural engineering degree from Pontificia Universidad Catolica de Chile. He’s been a researcher and professor at different universities and a geotechnical consultant in national and international projects. Dr. Eftihia Nathanail is TTlog’s Director and Associate Professor in Transportation Systems Design and Evaluation of the Department of Civil Engineering, at the University of Thessaly. She has joined CEE for fall semester 2018 and spring semester 2019, when she will be teaching Urban and Regional Transportation Planning (CEE 464) and Freight Transportation and Logistics (CEE 696). Her fields of research are transportation planning, transportation system design, intelligent transportation systems, behavioral modeling, intermodal transportation, logistics, multicriteria evaluation and optimization. 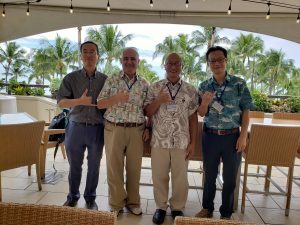 Dr. Panos Prevedouros gave a presentation “Autonomous and Driverless Vehicles: Hype, Reality and Sample Major Impacts” to ASCE Hawaii section on August 16, 2018. 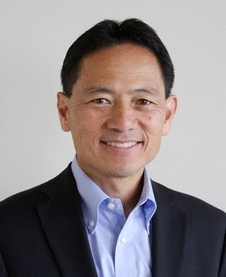 Our 1985 BSCE graduate Ed Shikada takes the helm as Palo Alto’s city manager. Congratulations! 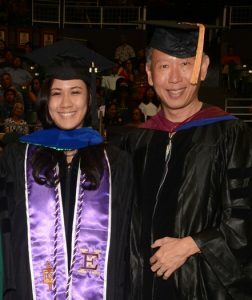 The department is very proud to graduate its first native Hawaiian Doctorate student, Dr. Melia Iwamoto. 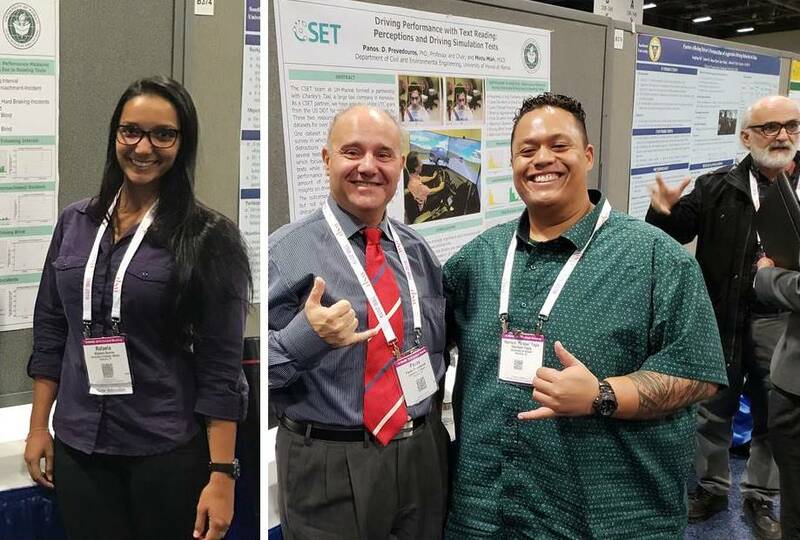 Her PhD dissertation is titled “A Landslide Warning System for a Soil Slope on Oahu” and her advisor was Dr. Phillip Ooi. Dr. Iwamoto earned BS and MS degrees from our department in 2011 and 2014, respectively. 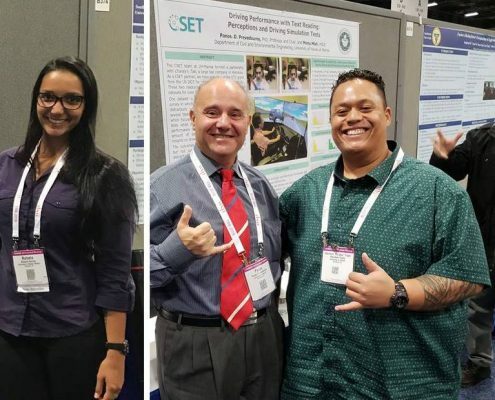 During her studies at the UH, Melia won six prestigious awards including the Kresser ARCS® Award in Engineering, the Ford Foundation Dissertation Fellowship, the ‘Imi Na’auao Scholarship endowed by the Legacy of Princess Bernice Pauahi Bishop. She has produced four scientific publications and is currently working on more papers from her research findings. 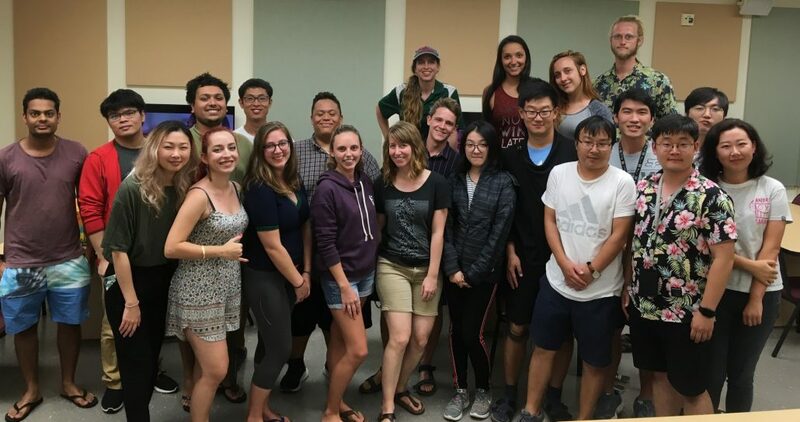 Dr. Melia Iwamoto teaches CEE 455: Geotechnical Engineering II for the department in summer 2018. Beginning in the Fall 2018 semester, CEE majors will have the opportunity of choosing between three senior year tracts, the General one, the Structures track and the new Sustainability and Innovation (S+I) track. In the coming year, the advisors for the S+I track will be Dr. Oceana Francis and Dr. Panos Prevedouros. The new CEE check sheet is posted: 2018 CEE Check Sheet. Students have the option to keep the check sheet they are currently on, or to switch to the latest one. 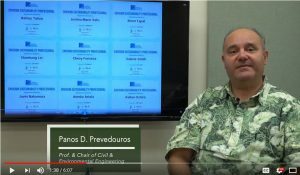 UH-Manoa College of Engineering 2018 promotion video is now posted for viewing. 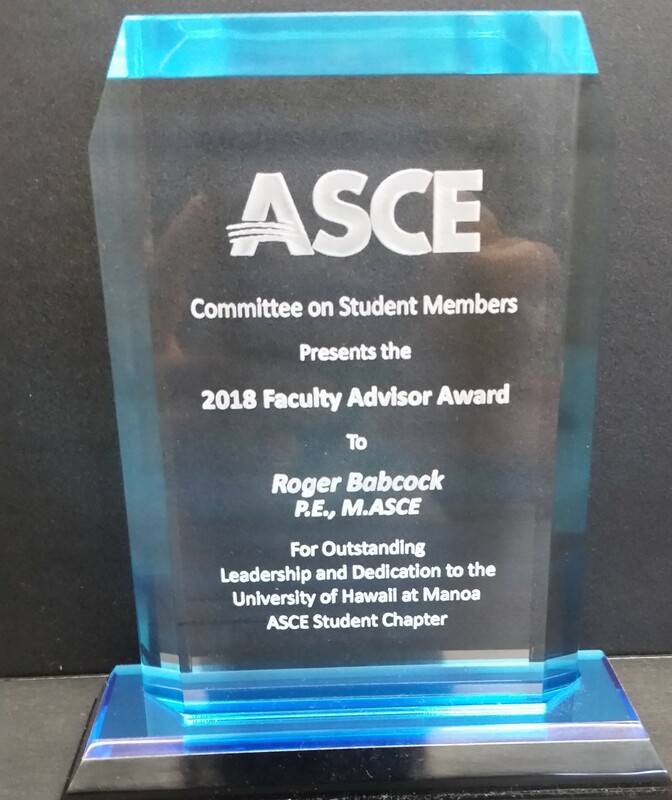 The ASCE Committee on Student Members selected Dr. Roger Babcock to be one of the two recipients in 2018 for ASCE’s Outstanding Faculty Advisor Award. 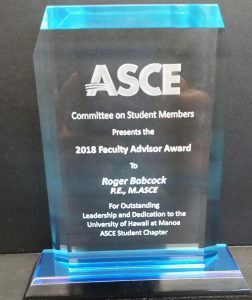 Dr. Babcock was chosen due to his outstanding work and dedication as a Faculty Advisor to the University of Hawaii at Manoa ASCE Student Chapter. 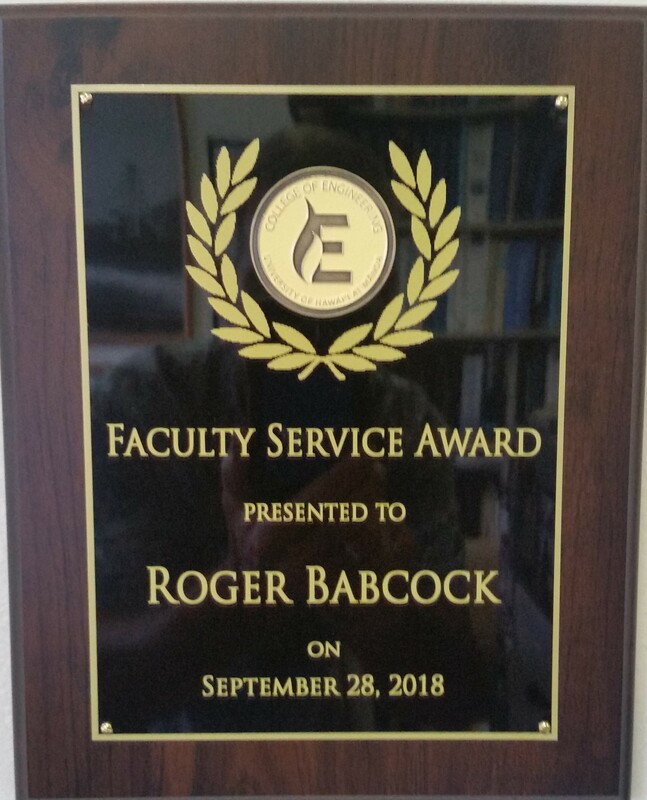 From all of us at CEE, many thanks and congratulations! Dr. Prevedouros joined the invitation-only Scholars Strategy Network. 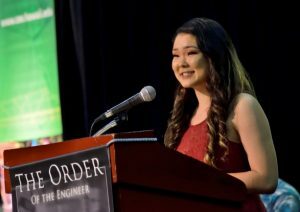 Congratulations to 2018 Civil and Environmental Engineering Outstanding Graduating Senior Leah Miyasato ! Leah was a dynamic student chapter leader and graduated with a GPA of 3.98, and a minor in communications. She was the president of the student chapter of ASCE and the captain of the chapter’s steel bridge competition which won first place in stiffness in 2017. Leah placed 1st in the Technical Paper competition in 2018 ASCE Pacific Southwest Conference (PSWC). A Moanalua High graduate, Leah was a Board of Regents Scholar at UH for four years. We are very proud of her doing so well at UH, and continuing for her Masters degree at Stanford in the Fall. Soon after graduation the graduate students of our department (CEEG) had a fun gathering in the friendly confines of Holmes Hall.